We started using Cogeco for home phone and Internet shortly after moving to our home in Ontario and have been very happy with the service. For TV, we solely used Netflix because we didn’t feel we needed anything else. I can tell you now with 100% certainty that we’ve been missing out all these years. We recently switched to Cogeco’s All-Inclusive Entertainment with their new TiVo service and the difference has been like night and day. The frustrations I had before about the lack of shows and movies to watch has disappeared and I feel like a kid in a candy store with my new toy. I’m picky about the type of movies and TV I’ll watch. I’d be sad when I’d finish a series I loved on Netflix because I knew I’d have a hard time finding something else to capture my attention. I also felt like I was missing out on conversations on social media about the latest developments in my favourite shows. For example, I’m a huge fan of The Walking Dead and would always be a season behind the rest of my friends. They’d be discussing the latest story developments on Facebook and I’d never be able to participate. I’d also be privy to spoilers which sort of ruins it for me. Now that we have TiVo, I feel a whole new world of entertainment has opened up for me. I no longer sit there staring blankly at the TV screen trying to figure out what to watch next. It’s changed the way we watched TV in our home and my entire family are now huge fans of TiVo. Today, I wanted to share with you the ways that TiVo has changed the ways we watched TV in our home. I’ve had the service for almost a month now and to say I’m simply enjoying it would be an understatement. 1. All our entertainment can be accessed on one remote. 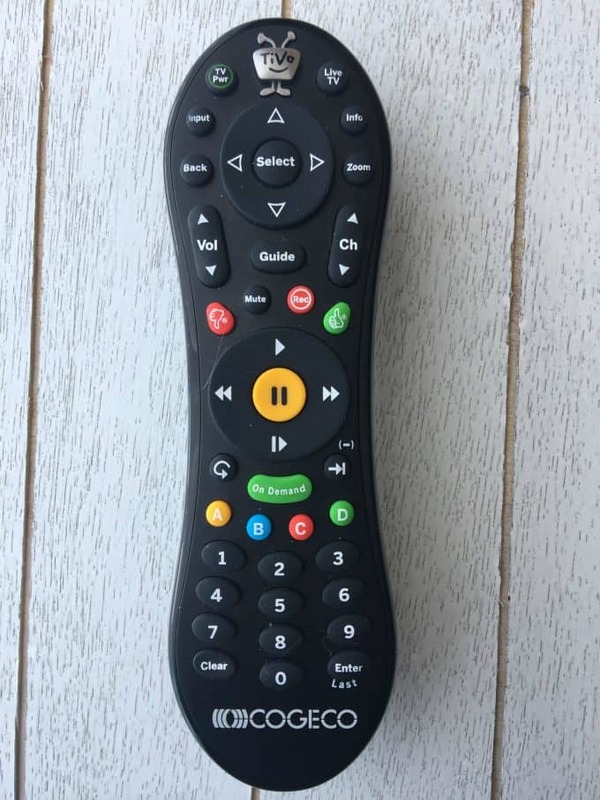 We can watch regular TV, a large selection of movies with Cogeco on Demand, our favourite YouTube videos, Netflix and much more with the click of the button. 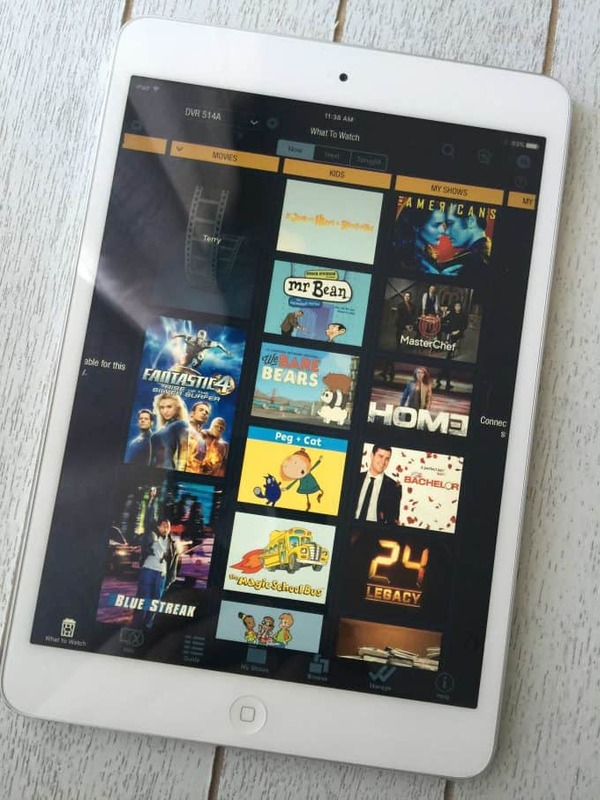 You can even stream music, video and photo collections from your Plex Media Server to your TV. Want to check Facebook or the news? You can do so from the Opera TV store. It truly is all-inclusive entertainment. 2. Our favourite shows work around OUR schedule. Normally, it’s the opposite. You’d have to plan out your evening according to when your shows will air. If you had plans for the evening, you’d miss an episode and then feel behind on what happened the next time you’d watch. I love the convenience of using OnePass to record my favourite shows and watch them when it’s convenient for me. 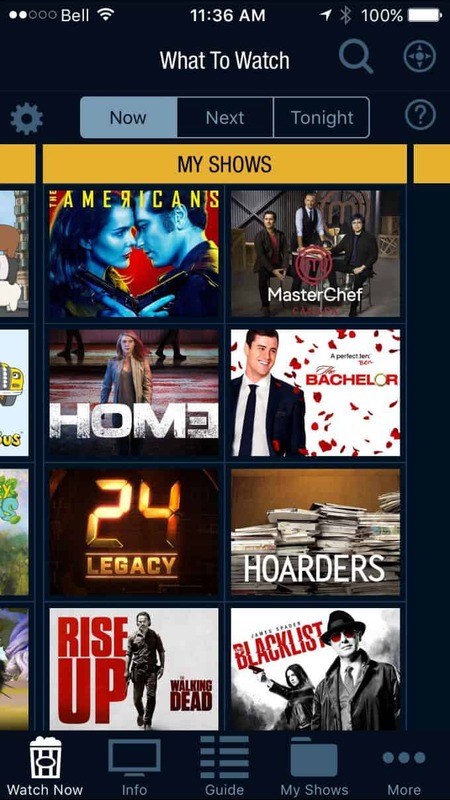 OnePass will gather every episode of the show from streaming shows from Netflix, DVR recordings, live programming, content from Cogeco On Demand for the entire season plus earlier seasons too, if available. You set it once and each episode will show up under “My Shows” so you can watch whenever you want to. 3. If I fall asleep watching a show, it’s no big deal. I’m notorious for falling asleep when I watch TV especially if it’s late at night. When I feel myself getting sleepy, I simply press “Record” on my remote and the rest of the episode or movie will record for me so I can watch the next day. 4. I’m all caught up on my favourite shows. I set up OnePass to record a few of my favourite shows that I’d been anxiously waiting to watch for over a year. I was able to binge watch past season 6 episodes of The Walking Dead so I’m at the same point of the show as everyone else is. No more spoilers for me and I can participate in conversations on Facebook about the latest plot twists. I’m also currently catching up on Homeland and The Americans via OnePass on TiVo. OnePass is my favourite feature! 5. I can skip commercials. When I’m watching recordings of my favourite shows, I can fast forward the commercials to get back to the episode. I can also rewind if I miss something and press pause if I need to take a break. 6. The search feature is extremely cool. I can search for shows or movies to watch by actor, director, keyword, category or typing in the show if I have one in mind that I’m looking for. It’s very intuitive and easy to use. 7. I can bring my favourite shows with me when I travel. 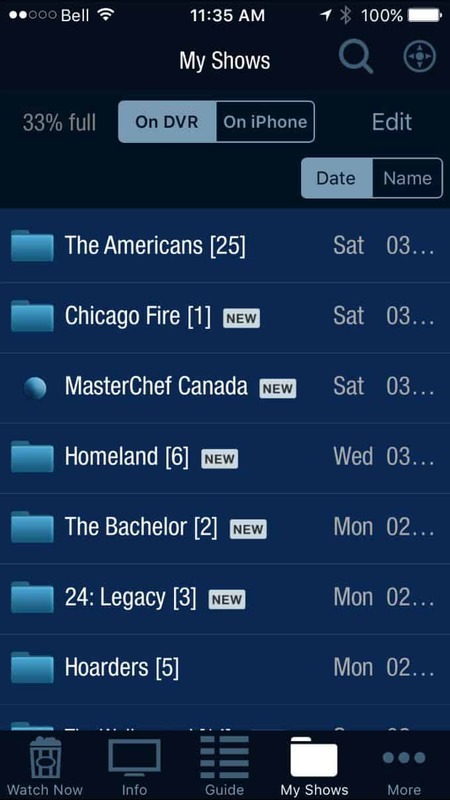 I downloaded the Cogeco TiVo app on my iPad Mini and iPhone and can watch my shows from my tablet or phone! It’s entertainment on-the-go. You can stream live TV or download your recordings on your device so you can watch anywhere, anytime without WiFi. Think road trips when you need to keep the kids busy. Bring your tablet and let them watch their favourite movies while you drive. 8. It’s easy to find new shows to watch. Since there is such a huge selection of channels, it’s hard to know where to even start. The TiVo service has a Discovery Bar that recommends programs it thinks you would like to watch. I’ve used it to watch a few movies already. Now, I can never say there’s nothing on TV. 9. The picture quality is top notch. Watch your favourite shows in HD, if available. I noticed when I’m watching TV that the guide will tell me if the channel is available in HD. I can see every detail crisply and clearly. 10. It’s neat to be able to customize my entertainment experience. Along with using OnePass to record my faves, I can also create a custom channel line-up of channels I regularly watch. For me, it includes the Food Network, A&E and HGTV. I’ve also been binge watching Hoarders and Intervention and I just started watching Master Chef Canada. I can’t wait to see who wins. As you can see, the TiVo service puts me in the driver seat giving me the ultimate control over my entertainment experience. I love that I’m caught up or in the process of catching up on my favourite shows. I’ve discovered new movies that I hadn’t heard of before and watched a few of my childhood favourites (hello Pretty in Pink!). If you are looking to up your entertainment game, then I highly recommend you try Cogeco’s TiVo Service. Customize it, like I did, to suit your needs and then experience all the amazing features it has to offer. The way we watch TV has changed for the better and I never want to go back to our old setup. It’s TiVo all the way from here on out in our home! One thing is for sure – I’m not hearing, “I’m bored” anymore! 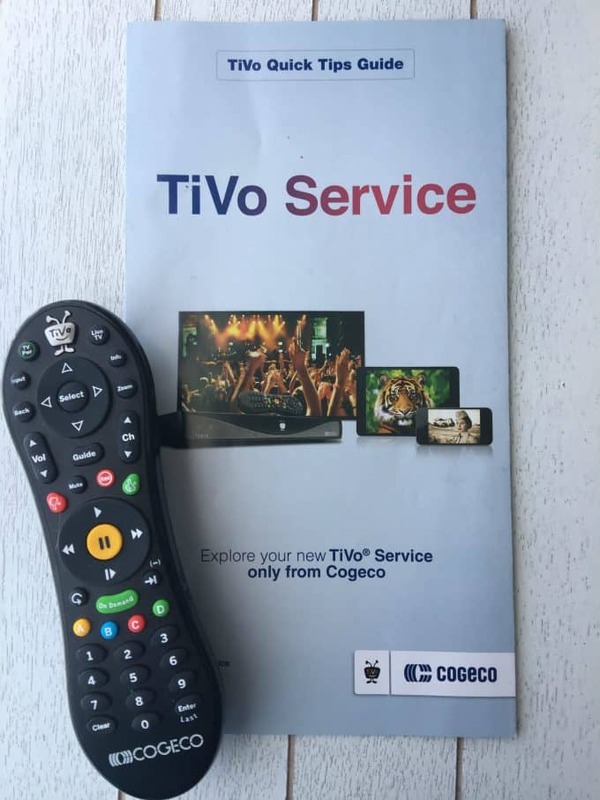 Have you tried Cogeco’s TiVo service or the TiVo app? If not, which feature do you think you’d love the most? Connect with Cogeco on Facebook and Twitter. I like that I don’t have to watch commercials and shows that I’ve missed I can watch in one place the full seasons. I really do like the previouslyrics watched and it’s easy time find again. Netflix/YouTube and new series all together on my TV – wow, so smart. Love all the features! I love how I can catch up on shows without ads while I’m cooking or taking a bath! I love the selection that TiVo offers and the ability to record! I love that you can skip commercials and have complete control over your shows! I like that I I can skip commercials! I really like the discovery bar! Honestly, I’ve just always liked Tivo! I dont have cogeco.its not available in my area. The one remote feature is awesome! It’s impossible to keep track of them all with a toddler in the house. the no commercials sounds great! as taping multi shows at the same time. My mom has Cogeco but not TiVO. I would really like TiVo because for 12 years I had no TV and I could catch up on shows that I had missed. I only get one station and that is CTV2. I would love to try this. I’m so behind on so many shows! Plus, I would definitely use it when I travel. I like It’s easy to find new shows to watch.